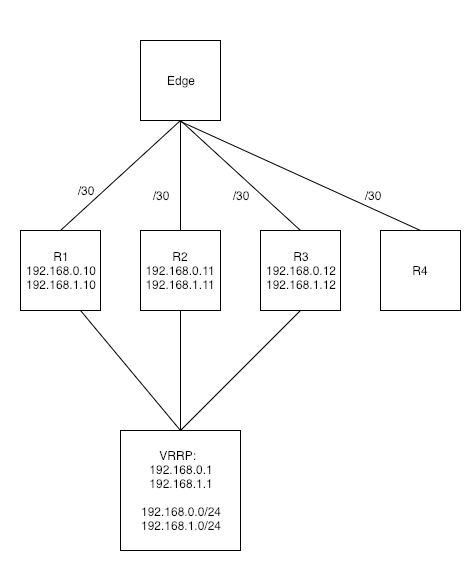 set service lldp interface all, management address not set, or set to one of the IPs on the router. Edge device sees none of them. This is currently a Mikrotik device due to OSPF on VyOS dropping the default route after 30 minutes. I can quickly switch back to VyOS for the edge and see what happens later today. It does see all other devices on network, including other Mikrotik switches and Ciscos. Router2 only sees Router4, despite them not being on the same subnet. All routers are connected via a trunk interface. They communicate over VLAN interfaces. This can't be right at all. If it saw Router2, I could believe it was a bug in the network design, but Router1/2/3 are literal clones of one another. Only change is IP addresses and MAC. I've built lldpd 1.0.3, much newer than that from jessie. Luckily, the maintainer keep Debian packaging in the official repository, so it wasn't much effort to do. It will be in today's nightly build, could you re-test with it? syncer added a project: VyOS-1.2.0-GA.
syncer moved this task from Finished to In Progress on the VyOS 1.2 Crux (VyOS 1.2.0-GA) board. syncer edited projects, added VyOS 1.2 Crux (VyOS 1.2.2); removed VyOS 1.2 Crux (VyOS 1.2.0-GA). syncer changed the task status from Open to Needs testing. syncer assigned this task to zsdc.